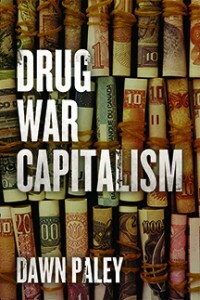 The good folks at Sur Plus in Mexico City will soon be publishing a Spanish edition of Drug War Capitalism. Dawn Paley has written a new afterword for the book, which brings the story up to date, including the many horrific events, massacres and disappearances, since we published her book. We’re sharing the English version of that Afterword here, because we all need more analysis from Dawn whenever we can get it. You can read it below in good ol’ html or download a PDF for reading here or a PDF for printing here. Oh and you can get our English edition of the book here.